Estate quality costume jewelry brooch. 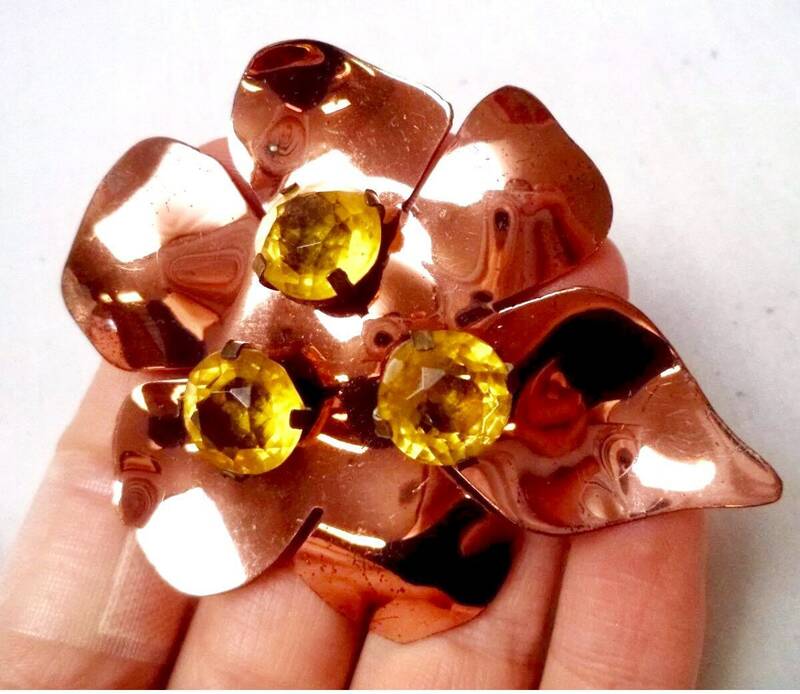 Coro made a brooch like this and one is pictured as an example of one of their 50's pieces, but I do not see a Coro stamp on this unless I am missing a C or something. This is a very handsome brooch with an art nouveau style. 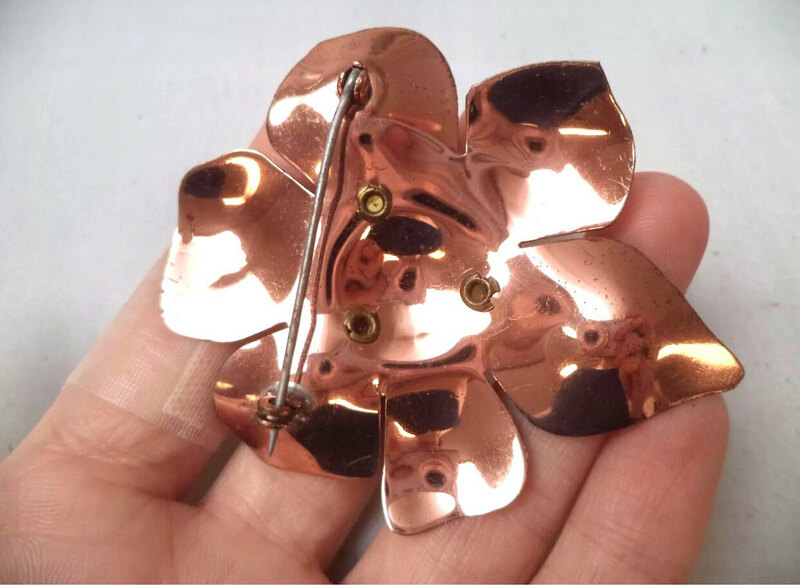 The rosy copper tone would look sensational on a pink or baby blue or lavender suit or blouse!